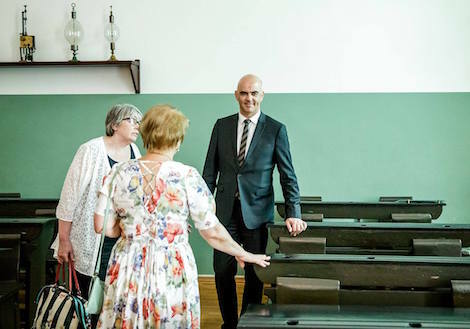 June 17, 2018: President of the Swiss Confederation Alain Berset visited the city of Taganrog within the framework of an official trip to Rostov Oblast. The first item of the program was Sambek Heights near the city entrance, where the Swiss President met Taganrog City Manager Andrei Lisitsky and Neklinovski District City Manager Vasily Danilenko to lay flowers at the Great Patriotic War Military Honor Memorial. 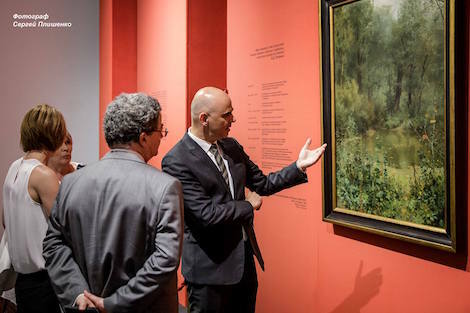 After the official ceremony Alain Berset visited the main cultural attractions of Taganrog, including Anton Chekhov memorial sites: The Memorial Museum "Birth House of Anton Chekhov" and the Museum of Literature "Chekhov Gymnasium". 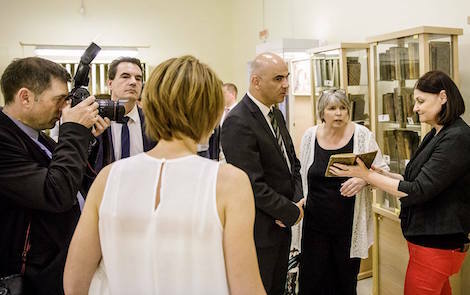 At the end of the visit, the President of the Swiss Confederation left a note in the distinguished visitors' book and exchanged souvenirs with Mrs. Yelizaveta Lipovenko, Director of Taganrog Groups of Museum.